A lot of people have been asking me how to make their own blog, and when I tell them how, they tell me they "couldn't do it" or it's "not working". So I decided to give out the instructions on This and That, Here and There so you can't forget it. Hopefully, this should help you. 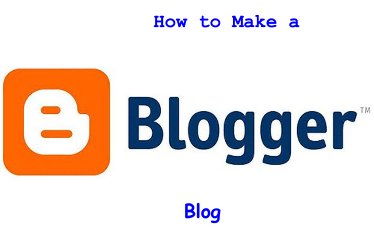 Step 1: Go to blogger.com. Step 2: Create a profile using your Google Account. Step 3: Now that you are signed in, go back to the Blogger Homepage. Step 3: Click on "New Blog". Step 4: Give your first blog a name, address, and template. Step 5: Click on "Create Blog"
Step 6: Ta-Da! Great job! You have created your own blog. Click on the pencil button to start a new post. Have fun on your new blog! And that's how to make your own blog. Note that this only shows how to create a blog. It doesn't show what you can do with it. Be sure to like, subscribe, and stay tuned to This and That, Here and There. I have already reached 1000 views. Now help me reach 5000 views. View this blog daily. I will see you soon! Bye!